We are looking for full time/part time Bar Tenders to join our team. Applicants must have experience as well as speak fluent English. Here you will find a map on the location of or main club Stiletto & also our sister club The White Palace. 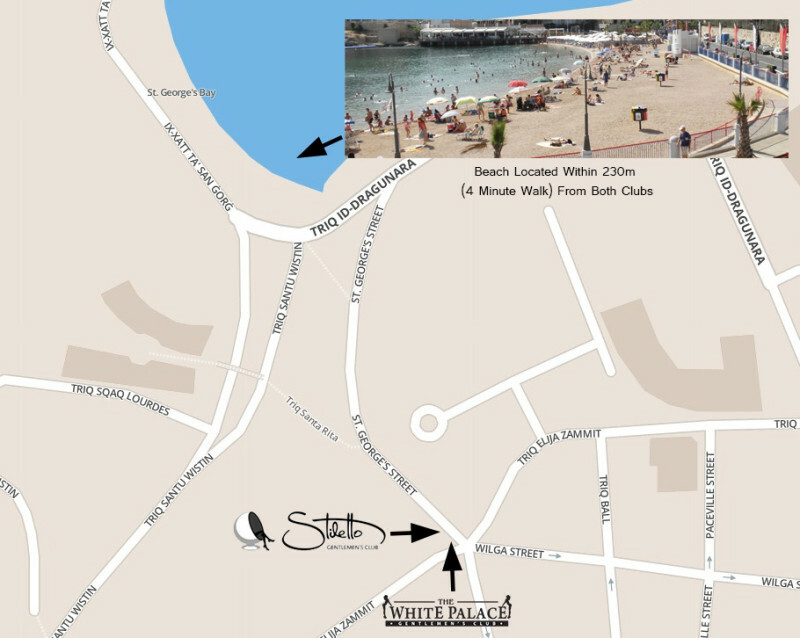 Just a 4 minute walk from the beach and located in the heart of Malta’s entertainment district with many bars, pubs, hotels, nightclubs, beaches & much more. Malta is an archipelago found in the centre of the Mediterranean. The capital is Valletta, a historic fortification found to the east. The island has a vast historic imprint that may be seen form various monuments, buildings, cities & fortifications. Malta’s main economic pillar is tourism, and hospitality is one thing the Maltese people are good at with their welcoming smiles and warm hearts. 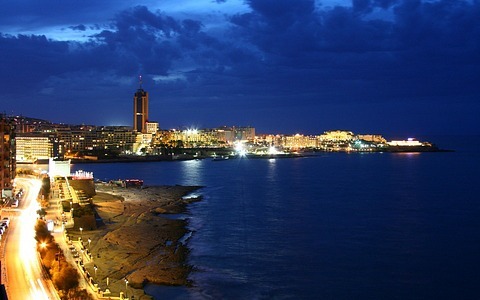 Malta is also very well-known for its night life. The summer months, clean beaches & sizzling heat, bring waves of tourists where the centre of attraction is Paceville in St. Julians. This small city is filled with bright lights and loud music from the various clubs, bars and discotheques, two of which are Stiletto Gentleman’s club and also the White Palace Gentleman’s club. Paceville also happens to be a few minutes away from a lovely cove type beach. Visiting the Maltese Islands is surely an entertaining and unforgettable experience ! We offer special shows for any groom, private parties & VIP lounge bookings for an exciting night out. A taxi service will also be dispatched to and from your location to our club. 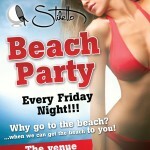 To book your night out fill out the form below with your details and we will get back to as soon as possible. Please press submit to send your application. Click here to view more information about our location.